With a design aesthetic that reflects the old-world glamour of the 1920s safari immortalised in classic Hollywood movies, Sand River Masai Mara offers guests luxurious seclusion. Set against the backdrop of the Maasai Mara National Reserve, this tented safari camp was built with the modern ethos of low-impact and sustainable living and is dedicated to ensuring the conservation of the wildlife sanctuary it calls home. Overlooking the Sand River, under the protection of a grove of shady trees, Sand River Masai Mara offers guests a secluded position from which to observe the splendours of Kenya. 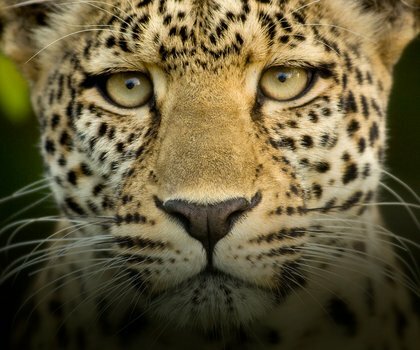 Game drives and hot-air balloon safaris provide spectacular and year-round Big 5 game viewing. 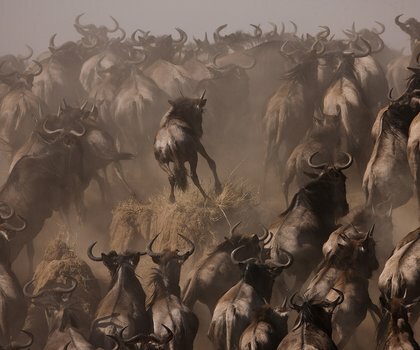 Those who visit between July and November will witness one of the greatest spectacles in Africa: the Great Migration. The 16 elegant Canvas Suites are designed with extreme attention to detail. All interior fixtures and furnishings combine to reflect the heydey of the 1920s permanent tented camps. Generously spaced and offering private views over the river, the Suites ensure that guests feel an increased sense of seclusion. For those wishing to explore the renowned Masai Mara National Reserve and a chance to witness the spectacle of the Great Migration, Mara Simba Lodge offers comfortable accommodation with plenty of rustic charm. Beautifully prepared cuisine and a beautiful setting on the banks of the Talek River characterise this experience. With its fantastic location on the banks of the Mara River near a regular Great Migration crossing point, it is no wonder the evocatively named Governors’ Camp was once the exclusive haunt of Kenya’s colonial governors. 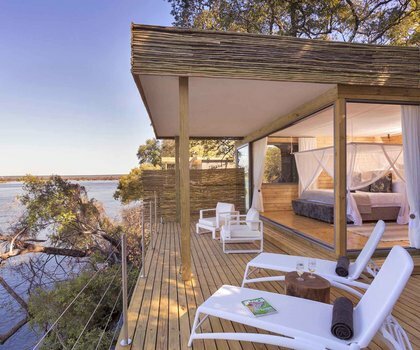 Enjoy luxury tented accommodation with those who first took things up a notch in 1972. Experience the magic of the Maasai Mara from the privacy of your individual cottage at Saruni Mara. Found in a private concession, expect to marvel at a wondrous amount of wildlife on safari or relax and recuperate at the spa. Feeling adventurous? Take advantage of this opportunity to spend time with, and learn from, Maasai and Samburu warriors.